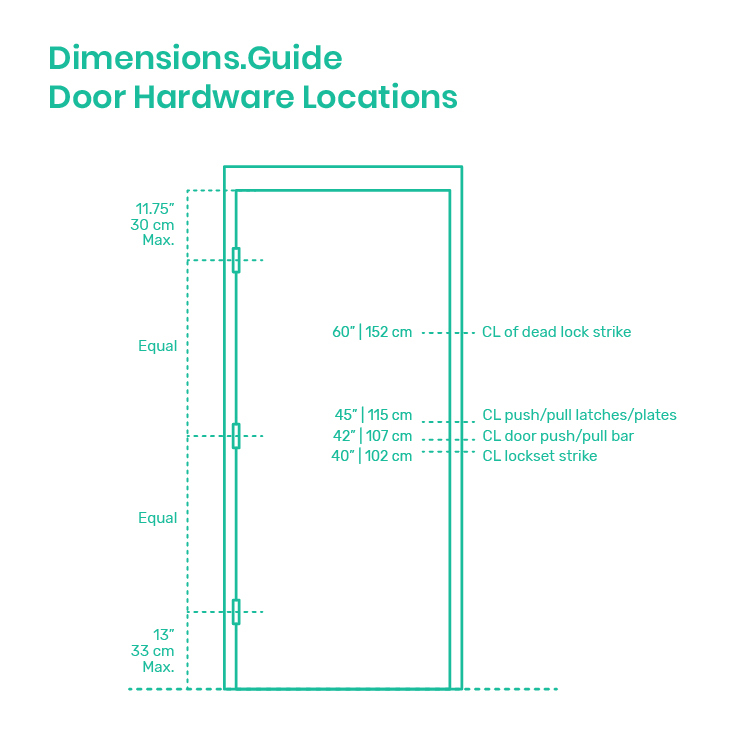 The location of door hardware should be measured and mounted within specified ranges of usability in order to fulfill the needs of users in specific situations. For accessibility, door hardware such as handles, pulls, locks, and latches should be able to be operated easily with one hand without requiring pinching, tightly gripping, or twisting the wrist. Accessible reach ranges from a maximum of 54” | 137 cm to a lower point 15” | 38 cm from the floor.